This is the second episode in a three-episode weekly series from Tales of Adventure! Episodes: Thursday 11th April, Thursday 18th April and Thursday 25th April. Join our brave band of heroes in an epic fantasy quest, improvised LIVE before your very eyes! Led by the all-powerful Gamemaster – our heroes will search for treasure, battle deadly foes, and contend with dangerous twists of fate as they struggle against evil to save the world! Our heroes will enter a magical fantasy world (think Lord of the Rings, with a few twists), inspired by a certain popular roleplaying game (which we can’t mention by name for copyright reasons). 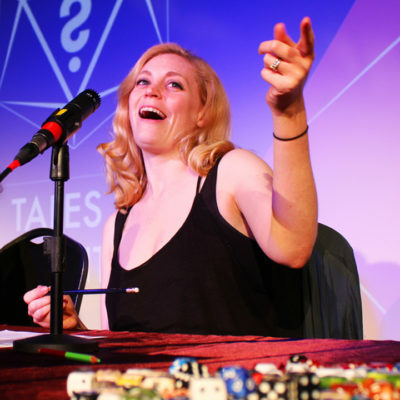 With our hilarious cast of comedians and improvisers (as seen in Murder, She Didn’t Write and The Unscripted Players) there are endless possibilities and amazing surprises ready to be discovered in Tales of Adventure!